To add a custom lookup, you’ll need to override the lookupReference() method on the reference group control, not lookup() which is used for regular lookups. lookupReference() is different in that it returns a record buffer, which will be used to populate the individual fields in the reference group. Good, so we just need to return a record buffer, but how to select one from a filtered list? That’s where the SysReferenceTableLookup class comes into play. 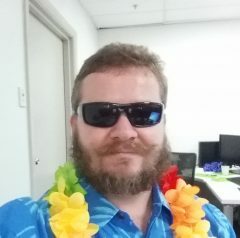 This class provides an API which is almost identical to SysTableLookup, so if you are used to that class, this should all look and feel quite similar. We add one or more ranges to restrict the rows that will be shown in the lookup. We tell the lookup object which query to use and which field(s) to show. And finally, we call performFormLookup() to show the actual lookup. In SysReferenceTableLookup this method returns a record buffer, which we pass to the return statement.